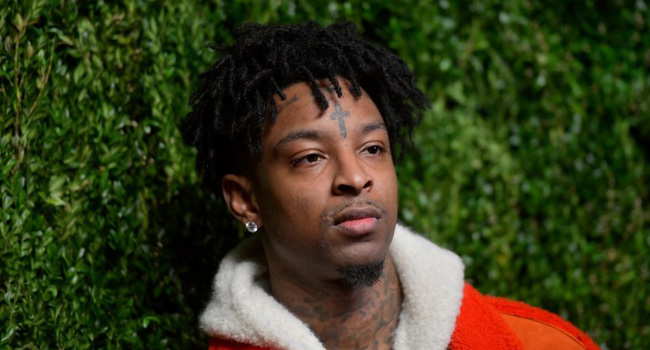 The surprise arrest of rapper 21 Savage on allegations that he is in the United States illegally has sparked an outpouring of support for the artist facing potential deportation. The 26-year old rapper — whose real name is Sha Yaa Bin Abraham Joseph — was arrested in the southern city of Atlanta Sunday by immigration agents who say he is, in fact, a British citizen. The artist has long said he is a local act from Atlanta, the state capital of Georgia, which is considered the home of hip hop innovation. In his statement, Cox added that the artist was convicted of felony drug charges in October 2014. The rapper’s arrest came days after he performed at a pre-Super Bowl concert prior to the championship American football game hosted in Atlanta. The news sent shockwaves through social media, with a number of top artists and industry insiders backing the young rapper. “HIS FAMILY DEPENDING ON HIM,” wrote Offset, referencing 21 Savage’s three children. The US agency has come under fire in recent months for its aggressive deportation policy. His second album, “I Am > I Was” debuted at the top of the Billboard 200 in December 2018, holding the number one spot for two consecutive weeks. Since the news of 21 Savage’s arrest broke British reports have indicated he originally is from Newham in East London, a detail neither ICE nor his team have commented on.